has changed since photo was taken. One popular modern look is makeup that leaves a "glowing" finish. This look is often associated with youthfulness and fresh skin, and it is often imitated in cosmetics by adding light-reflective "shimmery" particles. Tarte makes a moisturizer that has a shimmery finish: their Amazonian Clay BB Illuminating Moisturizer. This moisturizer comes in a light tint, which seems suitable for fair to light skin tones. It didn't seem to have quite enough shimmer to work as a highlighter; to me, it worked more as a moisturizer with a "glow" type of finish. I was surprised to see this rates a moderately high 6 on the EWG Skin Deep database, which is mainly due to the use of vitamin A and the sunscreen oxybenzone. I noticed the smell of sunscreen, but the oxybenzone isn't listed as an active ingredient. I was glad to see this is a vegan and gluten-free formula, but I would love to see a more gentle formula. Otherwise, it was an interesting way to get a bit of sheer coverage, moisture, and a shimmery glow. 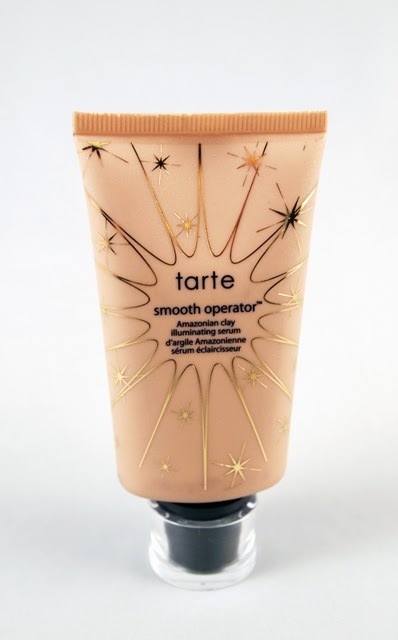 Note: Product was formerly called the Smooth Operator Amazonian Clay Illuminating Serum. Disclosure notice: This product was sent to me free of charge by the manufacturer for review. There is also a referral link in this post. No additional compensation was accepted and the opinions are my own. Please verify any claims with the manufacturer, especially if you have any allergies or concerns.